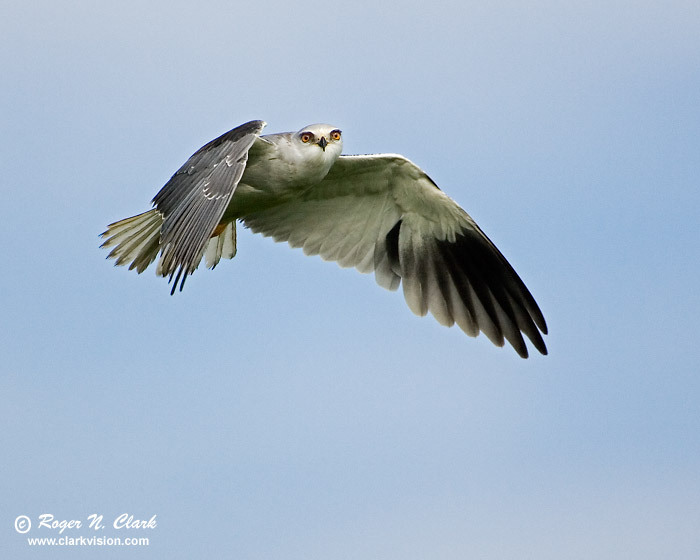 This Black-Shouldered Kite was hovering over an area close to our safari vehicle on the Serengeti in Tanzania, Africa. The kite was basically motionless: in my camera, a single focus rectangle stayed on the bird with no movement of the camera. His wings flapped back and forth to keep the bird stationary, and his head stared at the ground, occasionally looking around. This is one moment when the kite looked in our direction.